Over the last year or so, I've noticed improvements in Costco's point of sale process. First, they noticed that items under the shopping cart were sometimes overlooked by checkers, so I saw them install bar codes on the front of each shopping cart- just inches off the ground between the front two wheels. Each checker had to scan the bar code to show that they had checked the bottom for items and scanned them. This seemed to be an improvement and I imagine that this bar code could also be used to inventory the carts as well. On a separate humorous note, because I don't know of the application yet- I can see how sales could be grouped by cart ID- enabling Costco to identify which carts have the most revenue! 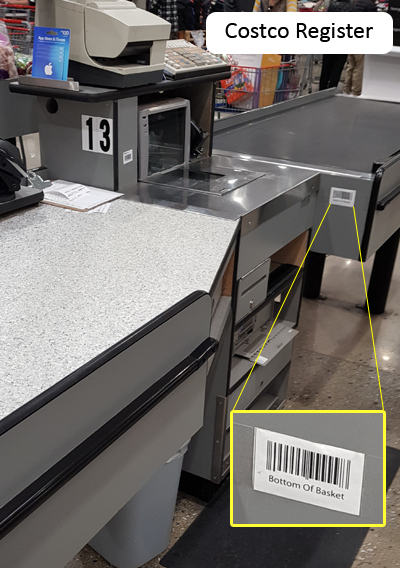 Then this last Sunday I noticed something different- Costco installed a bar code on each checkout (below) which the checker has to scan once, then scan all items on the bottom of the cart, then scan it again. If there are no items, they just scan it twice. I believe the sale can not be completed unless the Bottom of Basket (apparently called "BOB") is completed. This ensures there isn't any leakage (items that leave the store without payment) caused by overlooking the bottom of the cart. By ringing up the items in this way, Costco has not only improved the business process, but more importantly, measured an aspect of their business previously overlooked. 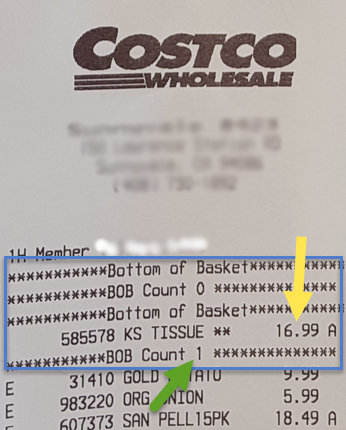 In the first section of the customer's receipt (outlined in blue in the picture below), there is a list of items found at the Bottom Of the Basket (BOB), the count (green arrow), and cost per item (yellow arrow). So, what is so important about this? Well, from an operational perspective, it provides data to the employee who checks the carts at the exit. This enables him/her to validate that nothing was missed by the checker, nor were unpaid items added to the bottom of the cart after checkout. From an analytical perspective, one may have previously asked how much money was lost due to checkers overlooking items under the cart and this data didn't exist (Completeness Dimensions->Existence Concept). Now after this data has been collected a model can be developed to estimate the historical amount of merchandise unscanned, and its associated cost. In summary, the sales data collected before this new process was implemented, lacked the line item detail for goods, under each cart, that were overlooked by checkers. 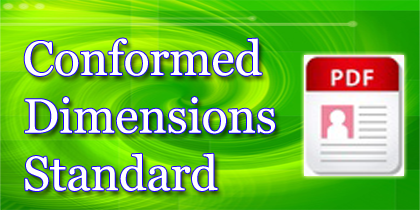 In other words, rows of data (because more than one item can be located under a cart) was missing (Completeness Dimension- Record Population Concept). Next time you're in a process improvement, or kaizen, exercise for retail or supply chain scenarios, try annotating the process flows with what data is collected at each point. You'll find that if you think four dimensionally- Process, Technology, People, and Data. 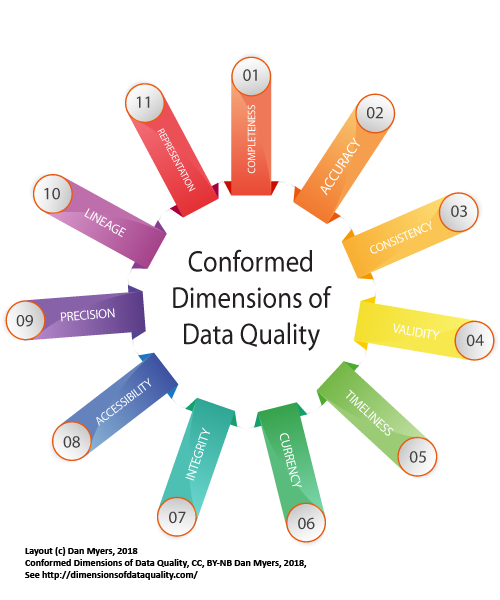 You'll be able to measure performance better, through improved data quality, enabling you to outperform your competition.